emotionally and socially, within an environment of respect and non-judgment. confident, pro-active student thanks to her guidance and encouragement. Laura’s passion for teaching and love of children led her to a career in Special Education. She completed her education from California State University at Northridge (CSUN) where she earned a Masters Degree in Communicative Disorders and a Special Education teaching credential. She also received certification by the American Speech-Language and Hearing Association (ASHA). 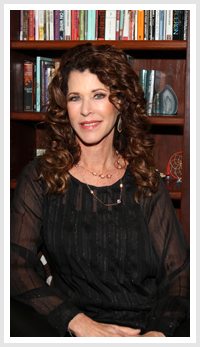 Laura is a life-long native of Los Angeles where she currently resides with her husband, preeminent attorney David Drexler. She is proud to have raised two sons, Jonathan and Justin, both who graduated from law school and passed the California bar to become attorneys. Laura began her work as a speech and language therapist for Los Angeles Unified School District where she gained invaluable experience. She became an expert at working with a wide range of students with speech, language and related learning disabilities, empowering her students, building self esteem and teaching the tools of successful reading, writing and communication. Laura became a master teacher of special education classes throughout the Los Angeles area, where she created stimulating and innovative classrooms, always crafting individual programs based on the needs of her students.” She also served as a mentor to many interns. In addition to supporting students, she provided counseling, guidance and moral support to families. Laura left public education to specialize in offering high quality educational therapy services in the private sector. For the past ten years, Laura’s private practice has flourished. “No matter what a child’s diagnosis is, I meet my students where they are at, academically, emotionally and socially, within an environment of respect and non-judgment. I empower students to believe in themselves”. Laura went on to become California state certified as a chemical dependency specialist where she co-facilitated teen and families in crisis, in an outpatient treatment center. “These experiences fully prepared me to meet the diverse challenges of successfully running an educational therapy private practice. For the past ten years, I have dedicated myself to systematically teaching students how to de-code learning, no matter what their issues might be. I believe that “LEARNING DOESN’T HAVE TO HURT” and in being honest, setting boundaries and helping students and their families reach their “true potential”.